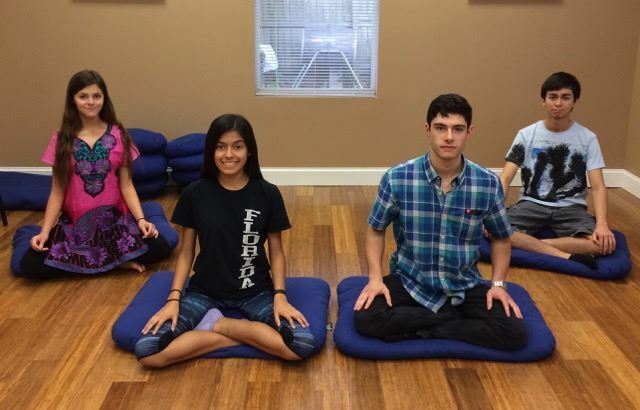 The Florida Community of Mindfulness welcomes families with children and teens! The presence of young ones at our practice center indicates a vibrant and lively community. Infants, children and teens are always welcome in our Meditation Hall and Fellowship Hall under the loving supervision of their parents or guardians, with special attention to keep the littlest ones quiet during meditation. There are couches and a kitchen down stairs from the Mediation Hall if you have to leave during meditation, but a little gurgle or baby sound is dear and well received! We are family friendly! 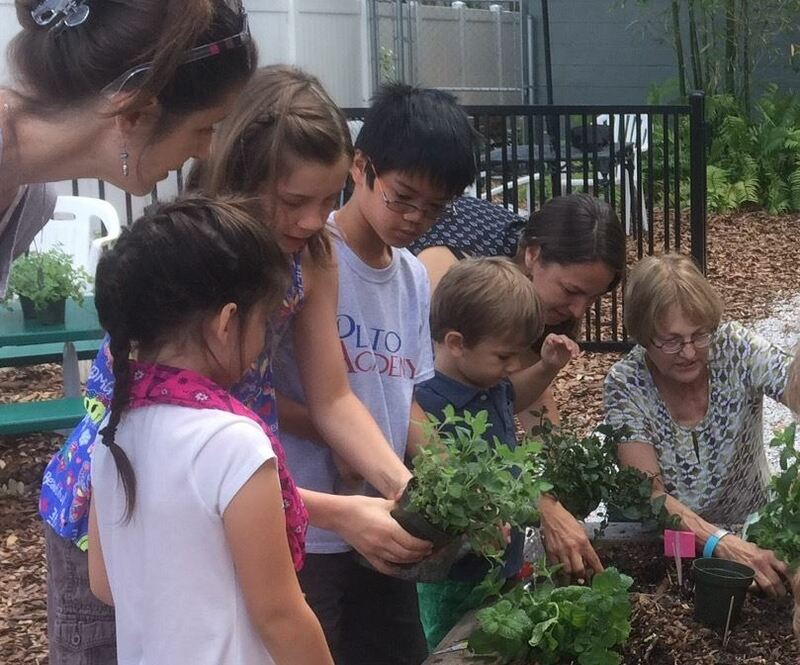 The Family Program is committed to fostering mindfulness, understanding and compassion in the lives of our children and their families by providing a safe and mindful environment with activities inspired by Thich Nhat Hanh and the Plum Village tradition. The Family Program is held twice a month during the school year and monthly during the summer for FCM members' children and grandchildren. Please check the FCM calendar for dates. If you are a new member or considering membership and would like to arrange a date to visit the program please contact Karuna, the Family Program Coordinator. Please check the FCM monthly calendar for dates. COST: The program is free, however dana is greatly appreciated. $5 per Sunday per family is suggested. Registration paperwork with a parent or guardian signature is required for members to enroll their children or grandchildren for the each school year. If you are a grandparent bringing a child, please request paperwork ahead of time so that you can bring paperwork that has been read and signed by the parent/guardian with you. Please discuss any special needs your children may have with one of the Family Program Coordinators. Parents/grandparents are encouraged to regularly participate in selfless service activities that support the program. Sunday mindful care and play is offered for children in kindergarten and under. We call these younger children our “Lotus Buds.” Activities include free play, music, stories, movement and art. For the comfort and safety of your child, we ask that an adult (parent, guardian or grandparent) remain in the Education Building to participate with them. For FCM members, who attend regularly with their children, the option is offered, on a case by case basis, to leave Lotus Buds in the Education Building while parents (or grandparents) attend all or part of Sunday Sangha in the Meditation Hall. Please discuss your child’s needs with the Family Program Coordinator to reach a mutually agreed upon arrangement, based on the comfort level of the child and the availability of adult supervision, as well as to discuss possible ways that parents can participate with other parents in providing cooperative care during Sunday Sangha and other events. To ensure quality supervision and care, check in with the Family Program Coordinator each week before leaving your child in the Education Building, as the number of adult supervisors available to care for your child each week may vary. Sunday meditation and mindfulness activities are offered for children in grades 1-5, from 10 am - noon in the Education Building one or more Sundays per month during the school year. Please check the FCM calendar. This program includes gentle meditation and other fun activities in an environment of mindfulness and loving kindness. Inspiration comes from the teachings of Thich Nhat Hanh and the Plum Village tradition with activities including mindfulness practice, art, music and movement. The name “Dharma Buds” was chosen by our inaugural class of children to refer to this age group. This program is offered twice a month during Sunday Meditation from 10 am -12 noon for middle and high school youth who are children or grandchildren of FCM members. Please check the FCM calendar for dates. Youth will participate in sitting and walking meditation in the main Meditation Hall and then will leave with the Program Facilitators for their own Dharma Talk and discussion. Mindful Teen Half Day Retreats supports mindfulness practitioners in their teen years who, inspired by the teachings of Zen master and peace activist Thich Nhat Hahn, aspire to cultivate mindfulness and compassion in their lives. The Teen Program will be holding several half days of mindfulness during the year for both members and nonmembers' children. Please check the FCM monthly calendar for dates and times. In the spirit of inter-being and inclusiveness, we honor the diverse spiritual/cultural roots and religious traditions of our teens. For more information please contact the half-day facilitators at teen-program-coordinator@floridamindfulness.org. The Two Promises, to develop understanding and compassion, are the mindfulness trainings or Buddhist ethical guidelines for children, developed by Thich Nhat Hanh. They are an integral part of the Family Program. Once a year members' children will be offered additional classes to learn about the Two Promises and discuss what it means to take refuge in the Buddha, Dharma and Sangha. They will then have the opportunity, if they choose, to receive transmission of the Two Promises in a formal ceremony with our Dharma teacher. The children receive a Dharma name and a certificate to remind them of their promises. Youth age 13 and older are invited to participate in the Five Mindfulness Training Transmission class and ceremony also held each each.